South Korea’s military and spy agency said Monday that North Korea is believed to have employed short-range ballistic missiles in its test over the weekend, revising an initial assessment following consultations with the US. Pyongyang fired three short-range rockets into the East Sea on Saturday in an apparent display of force against an ongoing South Korea-US military drill. In its preliminary assessment, the Joint Chiefs of Staff here said the projectiles were from an advanced 300-milimeter multiple launch rocket system that was unveiled during a military parade in Pyongyang in October 2015. The US Pacific Command, however, defined the weapons as short-range ballistic missiles. Two of them traveled around 250 kilometers in a northeastern direction, while the other one appears to have “blown up almost immediately, it said. North Korea’s state media has not yet released any report on the launch. “After a joint evaluation, we’ve concluded for now that they were likely to be short-range ballistic missiles,” a military official told reporters on customary condition of anonymity, adding further detailed analysis is required. But Kim Dong-yub, a former Navy officer and now professor at Kyungnam University’s Institute of Far Eastern Studies in Seoul, said the two countries’ assessments do not necessarily contradict each other because the 300-milimeter MLRS could be classified as a ballistic missile system given its self-propelled and Global Positioning System guidance features. At a parliamentary briefing later in the day, the National Intelligence Service said Pyongyang is possibly gearing up for a fresh missile test to coincide with the ongoing Ulchi Freedom Guardian exercise or the Sept. 9 anniversary of the founding of the regime. The country is also seen to be ready for an underground nuclear explosion at any time, lawmakers said. The agency also said the North’s recently tested intercontinental ballistic missiles were “not up-to-date,” citing its analysis based on images from state media taken during leader Kim Jong-un’s visit to a chemical research institute. 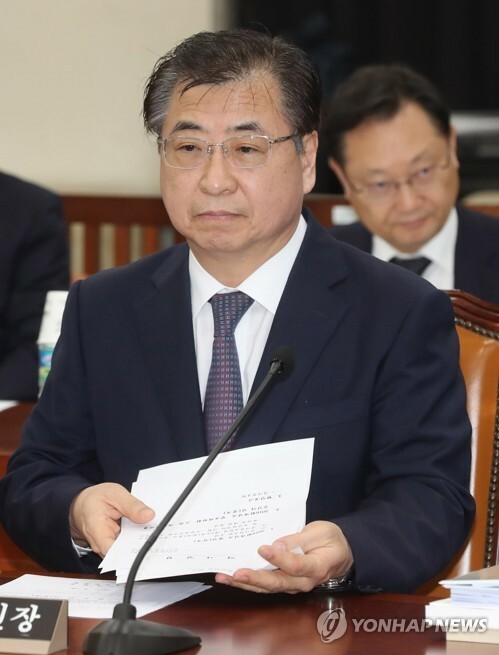 “The NIS thinks that Kim is focusing on missile activities because he regards the ICBM development as the final hurdle for reestablishing relations with the US,” Rep. Lee Wan-young of the main opposition Liberty Korea Party, a member of the parliamentary intelligence committee, told reporters after the closed-door session.